Two Dutch journalists proved it is not “too dangerous” to collect evidence at the MH17 crash site in eastern Ukraine when one visited the area, but Dutch police confiscated everything the reporters collected there, along with their cellphones and laptops. Just days ago, Michel Spekkers and Stefan Beck returned to Holland from eastern Ukraine where the two journalists had been gathering first-hand knowledge of the locals’ attitudes towards Moscow and Kiev, as well as preparing a report on the political situation in the troubled region. “Our main objective was there to talk with people and to find out what people really thought about the area and about their lives,” Beck told RT. 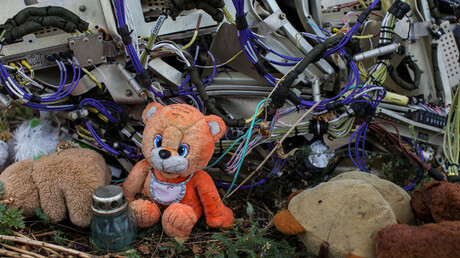 While Beck was taking interviews in Donetsk on the last day, Spekkers traveled to the crash site of the ill-fated MH 17 flight. He was quite surprised to discover “a lot of pieces still lying around,” with some stored in “sheds” by locals, according to Beck. “That materials have never been collected and the Dutch public prosecuting service claims that the area is too dangerous to go to. But the city of Donetsk is rather quiet when it comes to shelling to that kind of stuff. 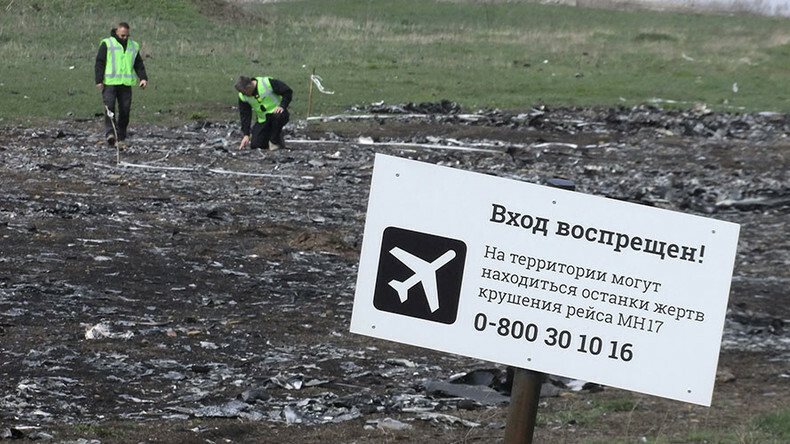 The argument doesn’t hold, especially because the area where the plane crashed is even farther away than Donetsk itself is, so there’s some incorrectness with what the Dutch public prosecution service claims there,” Beck told RT. The journalists’ trip was not veiled in secrecy, as they had been tweeting about collecting the fragments at the site and agreed to hand over what they had found to Dutch authorities upon their return. “The material that Michel Spekkers has collected at the crash site, we already were warned beforehand by the Dutch authorities that they would really like to take a look at it. And we had not completely agreed on doing that, but we would go for a talk with Dutch authorities,” Beck told RT. “Dutch authorities of course claim it is legal to take these pieces from us. We had an initial intention to hand them over in any case. But we did want to prevent that these pieces would end up in a research [that] would take a very long time,” Beck said, noting that “it is very important that this material is shown” to the public. 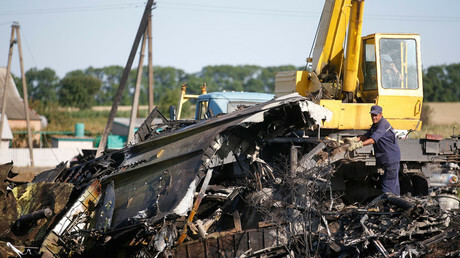 He noted that the journalists had brought back pieces of the plane because they wanted to show the public that there is still plenty of evidence at the site that investigators never bothered to collect or consider in their research, though that apparently hasn’t stopped them from reaching conclusions with incomplete data. This shows “there’s some matter of serious neglect by the Dutch public prosecuting service in not going there and collecting more material,” Beck said. Both journalists were apprehended by authorities upon their return, despite showing a willingness to cooperate. 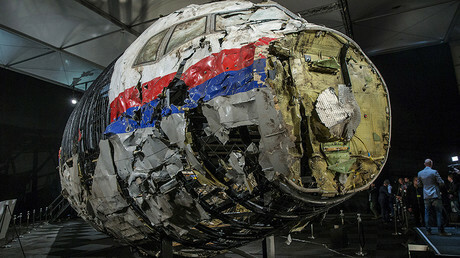 All the collected materials were seized, “but not only of MH17 also we had our laptops, telephones and SD cards in cameras all confiscated by the Dutch police,” Beck told RT. While the loss of the fragments is regrettable, the confiscation of all their equipment has raised some serious concerns. “For me personally the part of the plane is the least of my concern. What is way more worrying to me is that they confiscated our laptops, our telephones, our cameras and SD cards,” Beck told RT. Some of the footage is of a sensitive nature as people agreed to talk to the reporters only on condition of anonymity, and providing the material to the Joint Investigation team would effectively mean handing it over to the Ukrainian secret services. “We held interviews with local people, and some of those people only wanted to talk with us on basis of anonymity, so that their identity would be concealed, and as you might know, the representative of Ukraine to the Joint investigation team is the SBU, the Ukrainian secret service. And we’re very very worried that some of the people who we interviewed might get repercussions when they are known to the SBU and the Ukrainian authorities,” Beck said. The data storage devices seized from the journalists are still in a “sealed” state due to the intervention of the Dutch journalist union, according to Beck. This means the MH17 crash investigators cannot use them as of yet, but this situation could change if a court orders them be handed over to the authorities, Beck said.